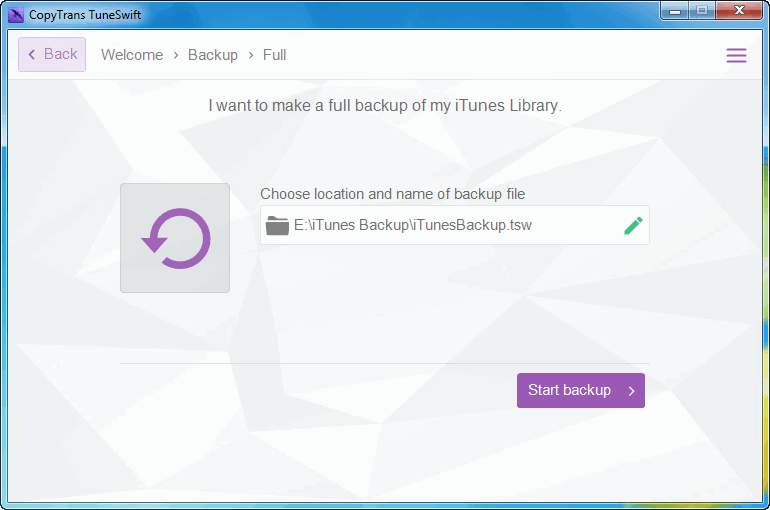 Home » How to back up the iTunes library on your PC? CopyTrans TuneSwift provides the only fully automatic iTunes backup solution which allows you to create an exact copy of the iTunes library complete with tracks, ratings, playlists, apps, settings and even iOS backup files. This is in stark contrast to other risky methods of iTunes backup such as manually copying files and folders. You can choose the location of the backup and can restore the iTunes library at any time just as you left it. Here’s how to create a safe backup copy of iTunes on your PC running Windows 7, Windows 8 or Windows 10. NOTE: if you already created a full CopyTrans TuneSwift backup of your iTunes library and you just want to back up the latest iTunes changes read this: How to back up latest iTunes changes. NOTE: we recommend creating the backup file in a safe location, for example, a drive different than the one where the iTunes library is located. NOTE: the number of backup files depends on the size of your iTunes library. 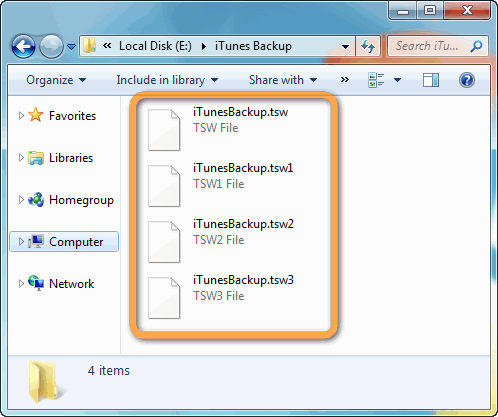 Each TSW file contains up to 4 GB of iTunes data and is an inseparable part of the iTunes backup. You can restore the iTunes library at any time via using CopyTrans TuneSwift to the same PC or to another computer. The restored library is an exact copy of the library you just backed up! Congratulations! You successfully backed up the iTunes library with CopyTrans TuneSwift. If you enjoyed the result, give us some kudos and share about your experience!